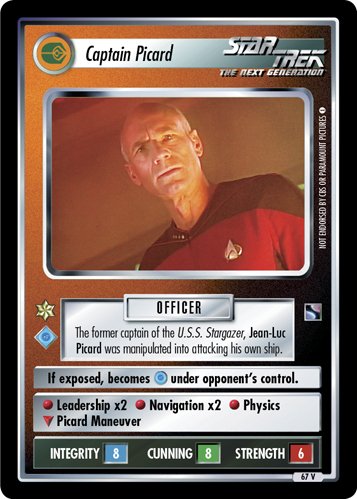 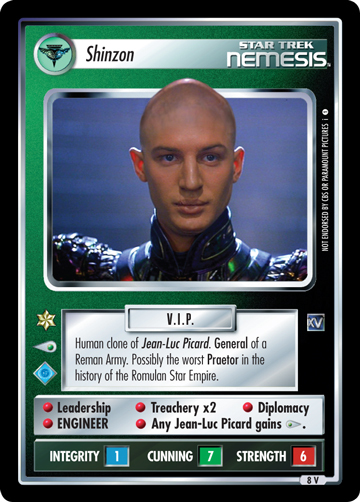 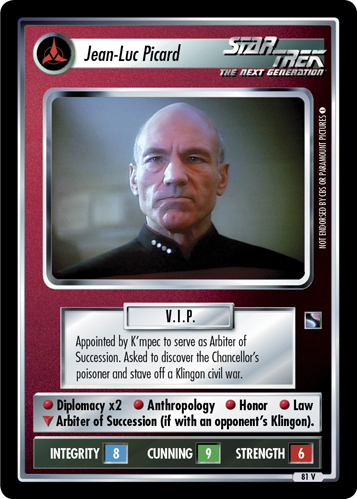 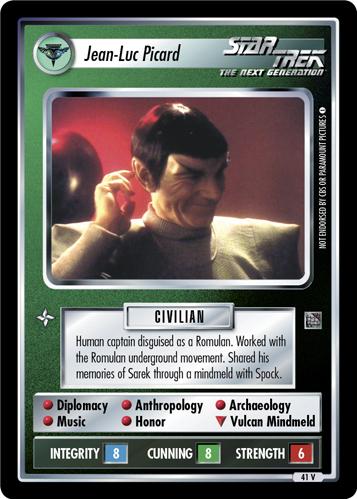 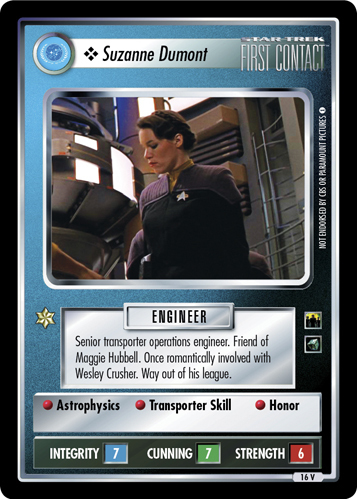 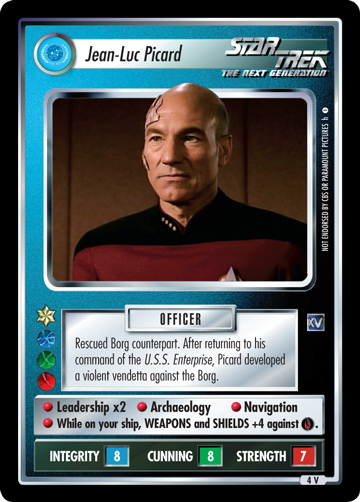 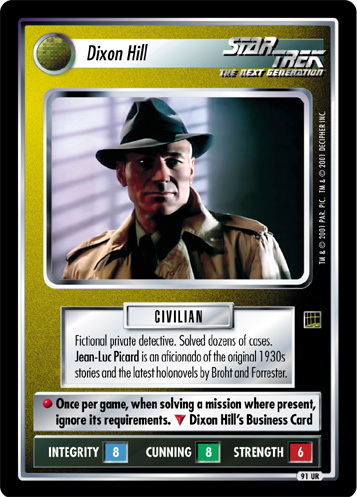 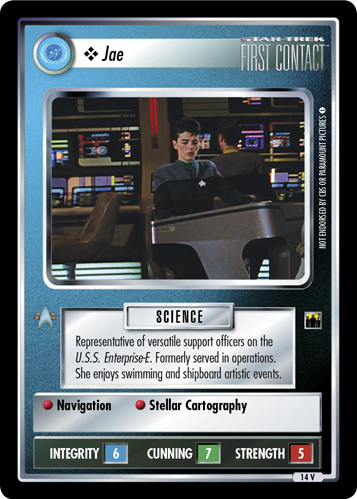 Like Melville's fictional Captain Ahab, the former Borg Jean-Luc Picard burned with vengeance. 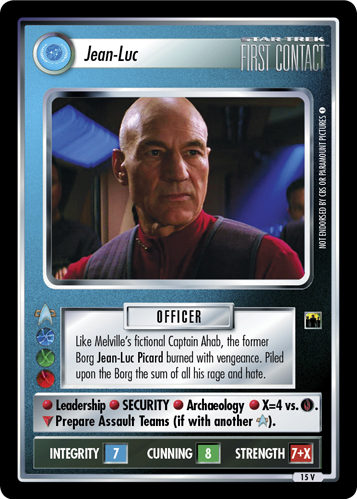 Piled upon the Borg the sum of all his rage and hate. 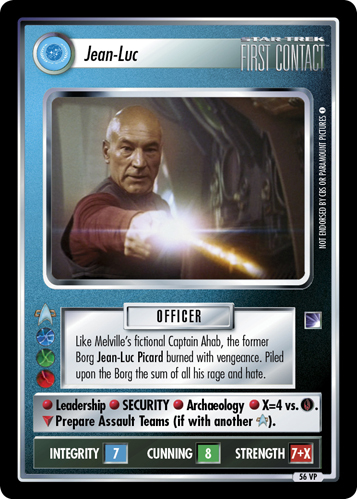 • Leadership • SECURITY • Archaeology • X=4 vs. . ∇ Prepare Assault Teams (if with another ).